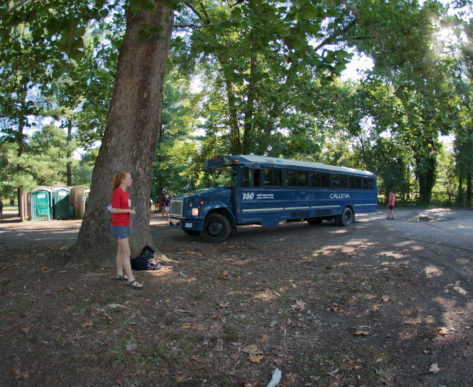 Bus Transportation is provided to all campers and cost is included in weekly tuition. 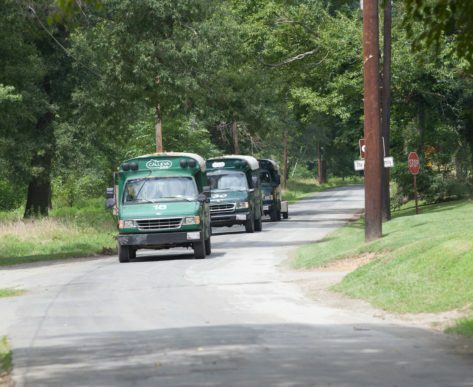 Campers ride commercial buses with licensed drivers. Parents also have the option of dropping off their child(ren) on Campus through the Car Pool line. Bus Communication Info: You will receive an email the Wednesday prior to your camp week with specific bus stop times and information. This will come from registration@calleva.org and sometimes gets filtered into “junk” or “spam” folders so please be sure to add that address to your safe emails list. Below are times for each stop for the week. PLEASE NOTE!! 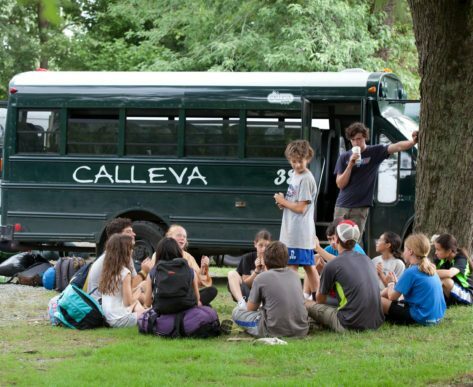 Your camper must follow the BUS RULES set by Calleva. If your first-choice bus stop does not appear when you are selecting a pick up/drop off point during registration, that means that it has reached its capacity. Each bus stop has a capacity limit for safety reasons. We will not allow more campers than the manufactured capacity of the bus. Please choose another stop. Vision: To promote transportation that connects the community with outdoor recreational activities in a way that enforces safety. Mission: Establish safe, reliable, and efficient modes of transportation through the use of certified drivers, technicians, vehicles, and methods of safe transportation practices. Values: Service with enthusiasm, dedication, and desire for connecting the community. Promotion of excellence, respect, dignity, and responsibility allows transportation to be successful. Staff strive to promote meaningful work to the well-being of the environment.